When accepted by a university in Germany, three months before you intend to go to the country you should ensure that you apply for a student visa germanz in person. The Immigration Office (Ausländeramt) at the place you intend to study will receive both your application and documents. Once the Immigration Office has approved your application then you’ll be given a residence permit from the consulate. This will take the form of a visa. As soon as you arrive in Germany you’ll be expected to register. Photocopies of the above documents will need to be provided – and make sure you are properly insured. 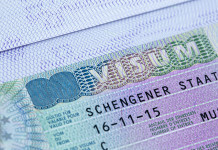 The visa itself will cost 60 euros. Where do I have to apply and how? The German Embassy in your own country is where you should apply. Though, apart from rare exceptions, you’ll need to make an application in person, and have the relevant documents. As student visas can take up to 25 days before they are processed, it’s advisable to apply long before you depart. A bank transfer is the method that visa fees are paid by – cheques and credit cards can’t be used as a method of payment. A money order must be in the name of your country’s consulate, and not be over two months old. It should be noted that there is no reimbursement if a student visa germanz is rejected. Previous articleDo I Need a Visa?